So there ya have it -- a few glimpses. As you can see, we didn't destroy our world, our nation, or our city. Also, six kids under the age of 10 were in attendance, and the only "agenda" that "indoctrinated" any of them was the "radical" idea that family, love, and Boylan's orange soda make for a memorable Manhattan night. Thanks to Housing Works Bookstore Cafe for building up an amazing space, and to Counter restaurant for cooking up some delicious food and drink. But mostly, thanks to all who spent this National Coming Out Day coming out for two dudes in love. The fall air might have brought a slight nip, but the good vibes brought nothing but warmth. Wow! Saturday Night Fever indeed. 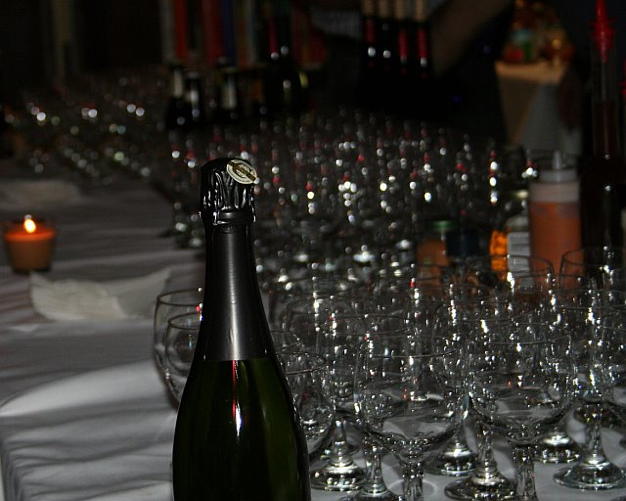 Thanks for a peek into your very special event! That was just your *engagement party*? Seriously though, happy engagement! (or is 'congratulations' the thing you say? I'm not that up on my wedding etiquette.) Just saw your "eat the constitution" ad for the first time, btw. It's hilarious. Awww, so sweet! Looks like nice spot for a party. 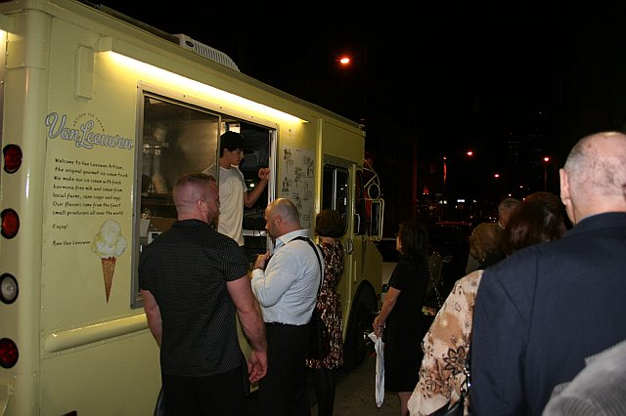 And the artisan ice cream must have been great. Sorry you didn't get any. All the best to you and Andrew. I love counter!!! I wanna see some pics of you and the hubby. Why are you hiding the cute gay men in tuxes from the world? Teehee. No tuxes, queerunity, but our outfits were super-cute (if I may say so myself). So far I don't have a nice pic of us together. As soon as I do, I'll try and put one up. Congratulations! It looked like a fun time, cheers! "I don't believe in Coindicdence, Everthing Happens for the Right Reason at the Right Time.' HOOT...that is even the saying I have on my MySpace site...for multiple coincidental right reasons! Congratulations again. And thanks for the pics. 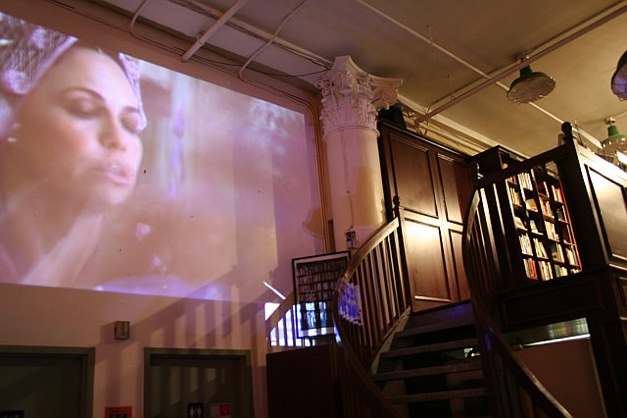 Now I've got another place I have to see on my New York list...great spot/venue. 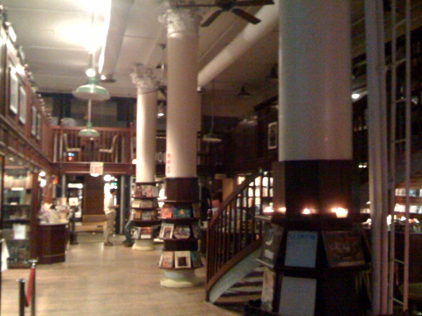 For other non-New Yorkers...I looked up the 'bookstore' and here is the blurb...all volunteer with proceeds going to AIDS action groups it looks like. 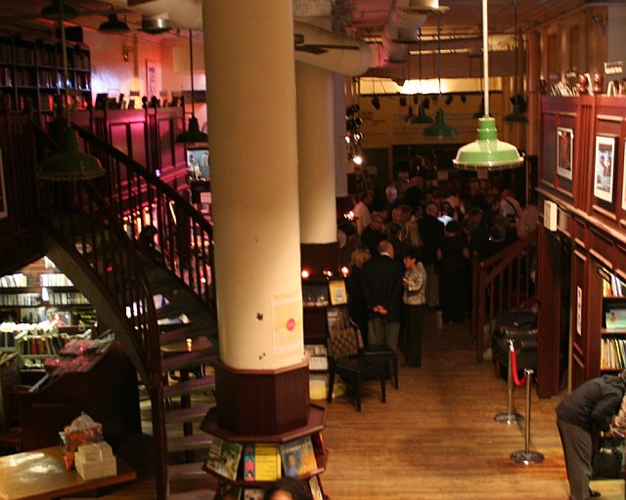 Housing Works Bookstore Cafe has established itself as a New York downtown institution and tourist destination for the last decade. 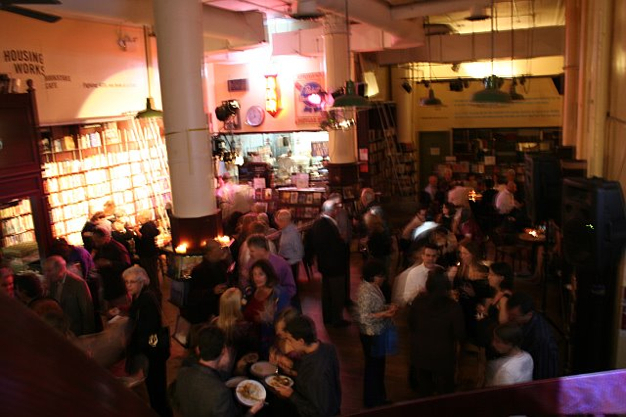 Special events and a fully stocked cafe make this a great place to meet friends, relax and shop the best book, movie and music selection in New York City. Our one of a kind space is available for rental and all of our merchandise is donated. We are staffed almost entirely by volunteers and 100% of our profits go to Housing Works, Inc. Yep...I will be going there on NY visit. I browse your site from time to time and enjoy your point(s) of view etc. Congrats here and best of wishes in all future endeavors!!! I too want to see the happy couple!!! I am so jealous. The only long term commitment I am making at this time is to my cat Liam (17 weeks old) Also, that looks like an awesome party, how long did it take to plan? I could not pull it off myself. So kudos for that! Yes, LOrion -- In addition to the space being beautiful, Housing Works is an amazing charity. 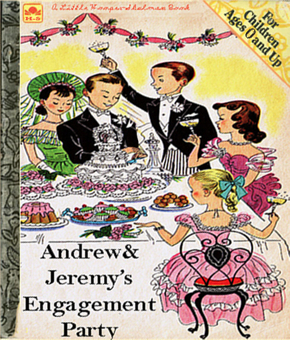 Congrats, Jeremy, I hope the wedding goes well and that you too have a happy and blessed marriage. Thanks, btw, for the coming out post the other day. Very moving. cool, ill stay tuned for the photos of you two, so i can be jealous that I haven't found Mr. Right yet. Congratulations! It looks like it was a beautiful time. Love the ice cream truck and especially love Housing Works. My boyfriend and I donate books to them yearly and always make a stop to pick up a few used classics when we're in SoHo. Again, kudos and looking forward to seeing more about the big day! Congratulations! I read your site daily. I'm happy that you're happy. The pictures look like a lot of fun! Congrats. Have you told on your blog how you two met and came together as a couple?